Laura grew up in Calgary but was lured by the ocean out to BC for university and medical school and has never looked back. 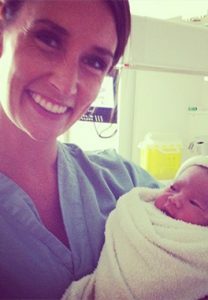 She has a general full service family practice in Vancouver and works as a maternity doctor in Yaletown, as well as facilitating Connecting Pregnancy groups at BC Women’s Hospital. She loves traveling to hot places, baking, coffee and reading big old novels. © 2016 Family Practice Maternity Service, British Columbia Women's Hospital & Health Centre. All rights reserved. Design by Lisa Temes.